Live Result from 3:00 PM and the Official Result by 4:00 PM. 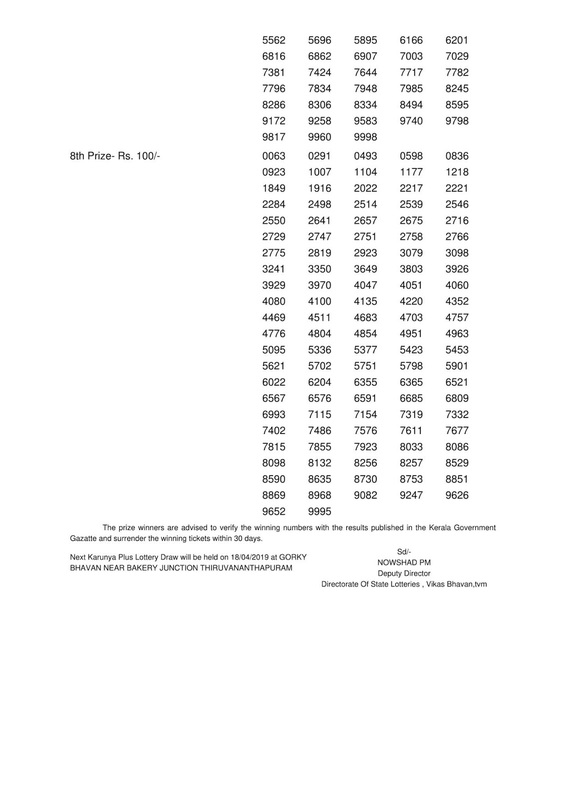 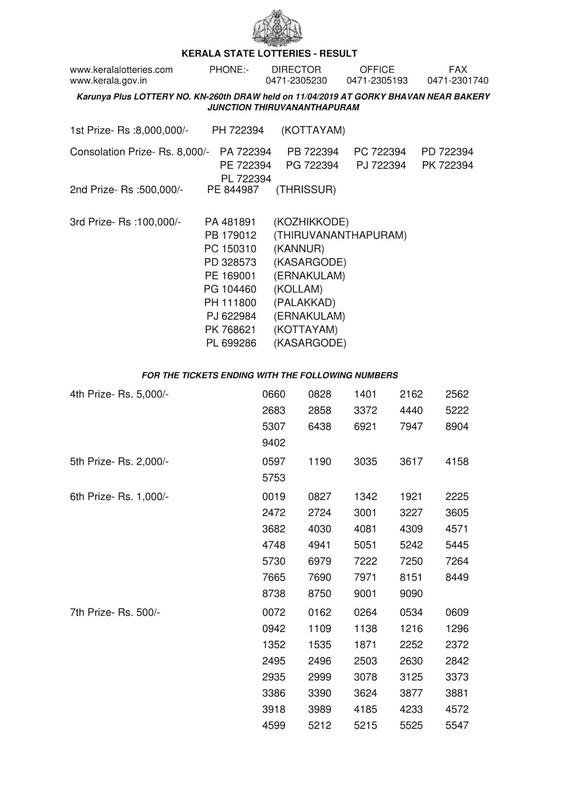 The prize winners are advised to verify the winning numbers with the results published in the Kerala Government Gazette and surrender the tickets within 30 days from the date of the draw. Tomorrow on 12-04-2019 "NIRMAL (NR-116)" draw starts 3:00 PM and the Live Results will be available through our App. 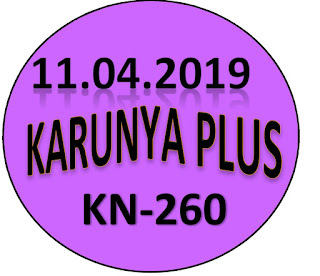 Next draw of KARUNYA PLUS (KN-261) lottery will be held on 18/04/2019 Thursday at 3:00 PM.